Hiking is a favorite pastime amongst many residents in California, and it’s easy to see why. The surrounding area offers up some of the best trails in the country. Plus, you don’t have to drive very far to find them. 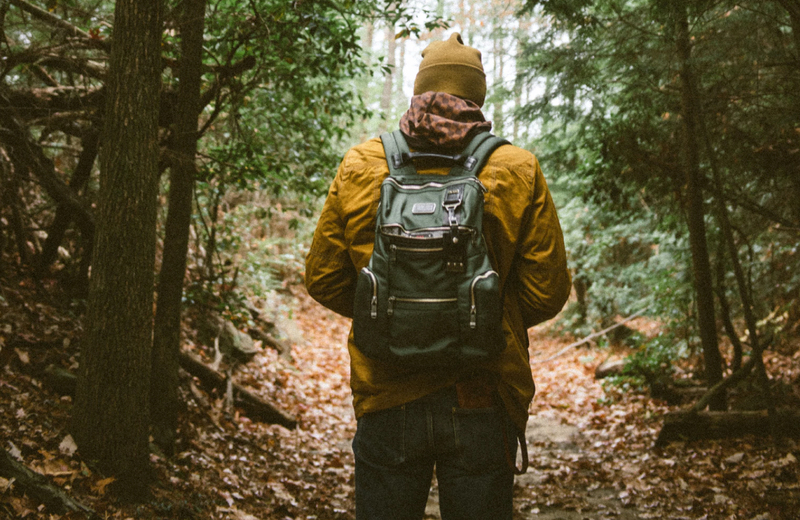 With winter just around the corner, now is the time to head out and hike before the temperature drops. If you live in the Vintage apartments in Pleasanton, then check out these ten top-rated trails this Fall. This shaded hike can be found in the heart of Dublin, minutes north of Pleasanton. Tree-lined and pet friendly, this is an excellent Fall hike if you’re looking to catch the changing of the leaves (a rare sight here in Cali). The trail leads down into the nearby forest for roughly a mile, passing over a creek several times. Altogether, you can enjoy a leisurely four-mile hike if you follow the trail through Dublin Hills Regional Park, all of which is well shaded. Make sure to bring plenty of water, though. There are no facilities anywhere on this trail. Preserve trail is a simple loop that stretches 1.3 miles. Its hillside locale makes it a moderate hike, but also offers gorgeous views of the valley below. You can find plenty of California Oaks surrounding the path whose leaves stay green almost all year-round. Dogs are welcome here as well, but must be kept on a leash. Callippe offers one of the most scenic trails in Pleasanton. Here, you can find native wildlife ranging from deer to foxes and dozens of bird species. The trail borders multiple areas preservation areas, one of the most notable is for the stunning Callippe Silverspot Butterfly. The Callippe Preserve Golf Course rests in the center of the trail, which has an excellent clubhouse where hikers can eat or grab a drink. The golf club also ensures that the trail is well maintained throughout the year. While you can’t ride your bike here, you can your dog can come hike anytime. There are two ways to enjoy the trails at Pleasanton Ridge Regional Park: Take a leisurely stroll around the two-mile loop with bikers and joggers, or head up into the winding trails for some serious hiking. If you choose the latter, then you’ll be treated to sweeping views of the valley and hillsides. As you climb the main trail, there are plenty of junctions with side-trails to choose from. All of them are excellent for hiking. So, you really can’t go wrong when choosing one. This is also an excellent place to find wildflowers. This loop near San Ramon weaves trough a heavily wooded area, looping back around for a total of 2.4 miles. Due to the lack of traffic, Summit View Trails is also an incredibly peaceful place for a Fall hike in the Pleasanton area. There are plenty of opportunities for birdwatching, the trails allow for horseback riding, and the summit for this trail lets out to a gorgeous view of the surrounding mountains. Summit View is rated as a moderate hike, but most consider it a leisurely walk through a beautiful forest. The Dublin Hills Trail is part of a much larger trail system, even connecting to Martin Creek Trail at one point. Accessible via Brigadoon Way, you can choose the left or right trail to begin your Fall hike. While you can loop back around to either side, you can also head North towards either Norther Calaveras Ridge and Martin Canyon or west to the final leg of Calaveras Ridge and Donlon Point. For a view of the entire Tri-Valley area, pick the second option. Centennial Trail passes through, you guessed it, Centennial Park. This is a popular hiking destination in Pleasanton since it’s located right in town. Altogether, it’s a 1.9-mile hike through hills of wildflowers that even the novice hiker can enjoy. Stretching almost two miles along the Arroyo De la Laguna, Marylin Murphy Kane Trail (MMKT) offers a beautiful hike through a lightly-wooded area. You can extend this peaceful walk to four miles if you continue onto the Bernal Trail, too. The entirety of MMKT is paved, which means you won’t need hiking shoes or boots. This is also a great place to walk your dog if they aren’t a fan of nail clippers. There are two trails to choose from in the Shadow Cliffs Regional Recreation Area: The 2.7-mile short loop and 5-mile long loop. The shorter hike takes you arounds Shadow Cliffs Lake, offering excellent views and cool walk on warm days. The longer of the two also moves around the lake, but connects to several other moderate trails within the area. Regardless of which one you choose, you’ll have a wonderful tree-lined walk ahead of you. Since Fall can be a little cooler in Pleasanton, you might want to take the 5-mile stretch to avoid cold winds blowing across the lake. If you’re looking for a sea-to-mountain top summit hike complete with non-stop ocean views, then the Gray Whale Cove Trail is perfect for you. Starting near dense ocean scrub, the trail eventually connects with the North Peak Access Road Trail to continue your way to the top of Montara Mountain. The majority of the trail offers an excellent view of the ocean where you can catch a glimpse of whales, pelicans, and seals from time to time. At the summit, you can see everything from Point Reyes to San Francisco and Half Moon Bay. After a long hike, there’s nothing like the comforts of home. At Carmel, we create the finest in luxury apartments that tend to your every need. Come see how higher living can change the way you view the definition of home.